Prince is often cited as one of the most influential figures in popular culture. His recent passing on 21st April 2016 has seen a greater academic interest with interdisciplinary conferences, journals and a touring exhibition currently in Amsterdam. When we think of Prince today, we predominately see the purple trench coat, a look made immortal in the 1984 film ‘Purple Rain’. My ongoing research focuses on the period before the rain and how this iconic look came to fruition. The 1980 release ‘Dirty Mind’ was Prince’s third album, which launched a more provocative image and introduced the world to his band, soon to be named ‘The Revolution’. 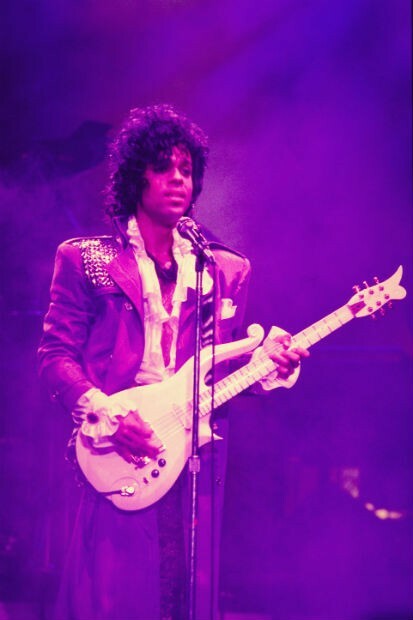 Blurring race, gender and sexuality Prince strutted onstage in stockings, intimidating and arousing crowds alike, performing a fusion of funk, new wave, punk, R&B and rock. The fashion choices of Prince and the band during this influential time foreshadowed what we now view as the epitome of Prince’s style made iconic in ‘Purple Rain’. During this period Prince wore a controversial uniform of a pair of black bikini briefs, stockings, neckerchief and an embellished beige army surplus trench coat. The trench coat was developed for English officers during the First World War. (1) It was traditionally produced in water resistant cotton khaki and typically double breasted with raglan sleeves, epaulettes, a belt with D-rings, storm flaps and a rear vent with button closure. 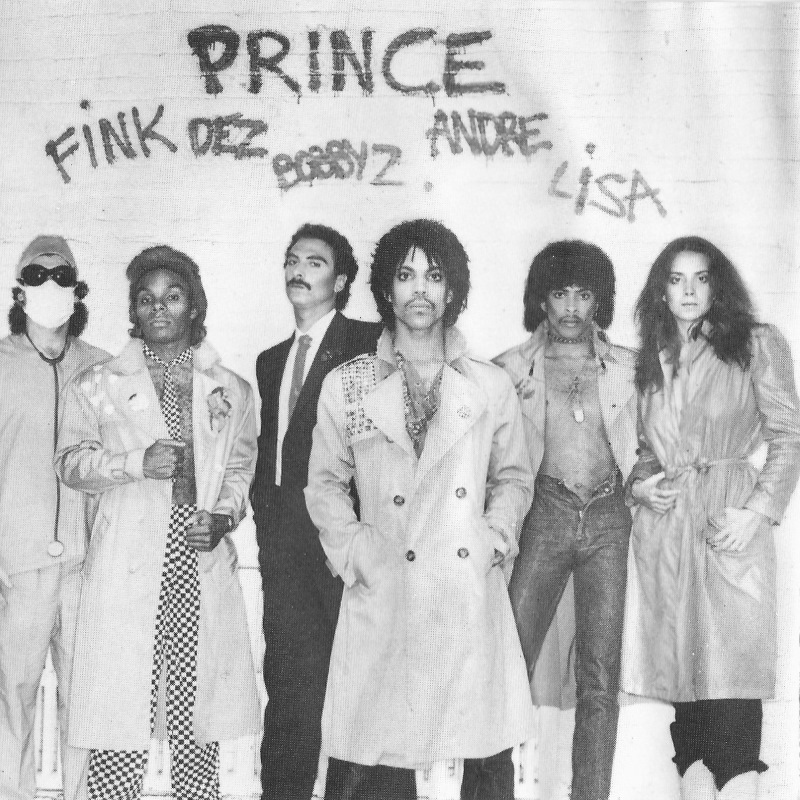 The majority of Prince’s band wore trench coats, each borrowing details from the archetype worn by their band leader. As the band’s success grew Andre Cymone credited his seamstress sister Sylvia as the original creator of what now had become bespoke trench coats for the band. (2) Fans could easily replicate this look at army surplus stores for a low cost and could style it however they pleased. The progression of the trench coat can be tracked through the music videos from the period of 1980-1982. The gritty, punk DIY stylings of ‘Dirty Mind’ (1980), the polished purple punk of ‘Controversy’ (1981) and the stylised dandy in ‘Let’s Pretend We’re Married’ (1982). Prince is now presented more seductively, with Cleopatra-esque black eyeliner, mauve eyeshadow and exquisitely curled hair. This is a shift from his previous confrontational ‘Dirty Mind’ persona to a more conventional image of New Romanticism. Prince styled the classic coat with a sense of eroticism and revolutionary flair that it made the trench coat truly his own. 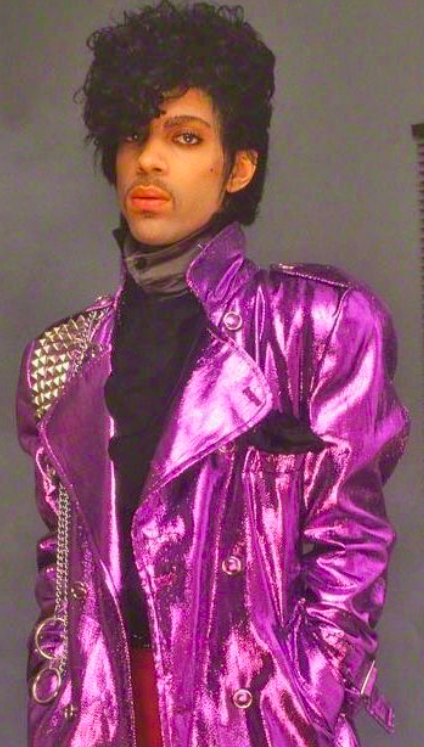 During the ‘Purple Rain’ era he cropped the length and adopted motorcycle-jacket stylings in luxe fabrics such as brocade and paisley prints. He altered the upper collar so that it mimicked the mandarin collar - with an abundance of ruffles spilling from his jabot. He embellished with punk rock silver studs and rhinestones and altered the traditional functional fabric to lace, lame, satins etc. The masculine tailored lines were juxtaposed with feminine ruffs of lace and chiffon, his tiny waist accentuated with skintight trousers adorned with opposing coloured buttons. Prince carved his own way through mainstream style - cherry picking and adapting from a smorgasbord of influences offered to him by some of his predecessors, band members and peers alike. The look was fully realised. Personal and stage clothing spanning Prince’s career will be on display at the ‘My Name is Prince’ exhibition 8th March to 24th June 2018 at Beurs van Berlage, Amsterdam. Sims, Josh. Icons of Men’s Style. Laurence King Publishing Ltd, 2011. 2. ”Andre Cymone Interview." The Prince Podcast, 2014, http://podcastjuice.net/the-prince-podcast-andre-cymone/.